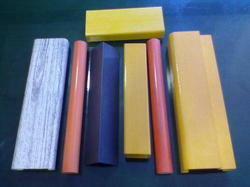 Offering you a complete choice of products which include frp benches and frp pultruded sections. The FRP Garden Bench Patti is made on a Fully Automatic machine by the process of Pultrusion. 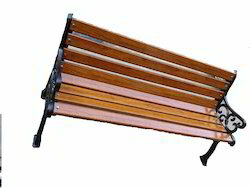 Which is widely used by Bench manufacturers. It has a Wooden finish on it which resembles Wooden Sections. The FRP Garden Bench Patti is UV stabilised so that it does not fade in Sun Light. Plastic Fabricators manufacture FRP Pultruded Sections are indeed the most advanced types of sections with excellent corrosion resistivity, high strength and light weight features. All the traditional materials like steel, aluminum & wood that were used to manufacture these sections had their own disadvantages in the industry and eventually FRP Pultruded sections came into picture with virtually maintenance free services. These FRP pultruded sections are the most eco friendly sections available in market as these emit less greenhouse gases and consume less power in comparison to other sections. We have all the expertise to manufacture varied pultruded sections with different specifications to meet diverse industrial requirements.